US stocks tumbled in the final minutes of trading Tuesday, dashing hopes for relief from the week long rout. All ten industries of the S&P 500 closed lower, led by Utilities (-3.16%) and Telecommunication Services (-2.25%). Hence, if the STI fails to retake 2900, we could see the index slipping back towards 2860 or even 2800. 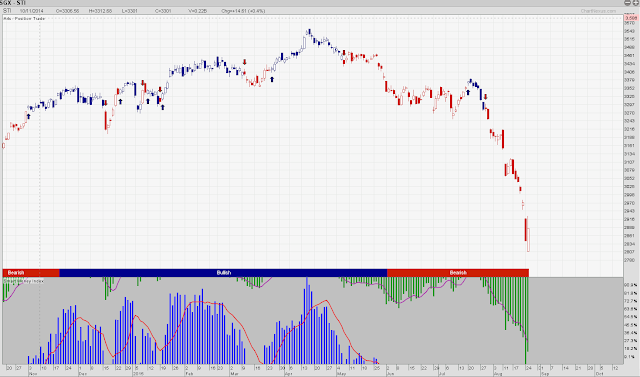 And if 2800 breaks, it could lead to a return to around 2698 (early Jun 2012 low). 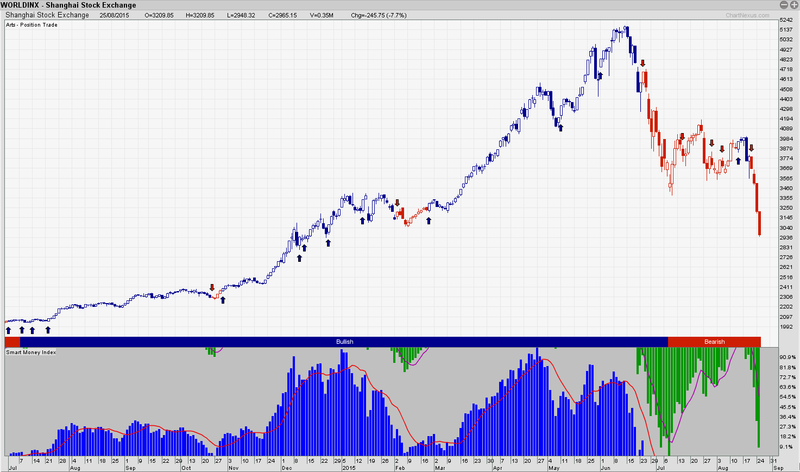 See below STI chart, it has been drop by 20%. Our ART Trading system alerted Sell signal at 3480 and 3300 before it drop to lowest 2805. 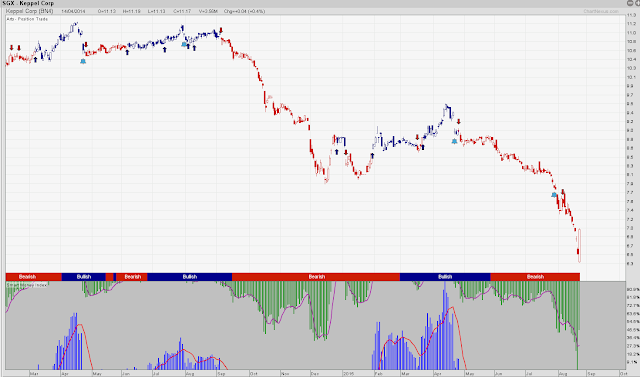 I want to get the Email, Open a Free Trading and CFD account for me.